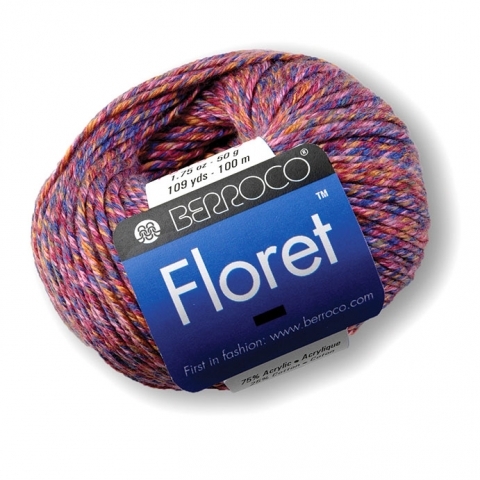 Berroco Floret is a machine washable acrylic cotton blend. One touch is all it takes to fall in love with this ultra-soft cotton blend, and the colorful plied construction adds even more appeal. Yarn Fiber: 75% Acrylic, 25% Cotton Yarn Wash Info: Machine wash in sweater bag, cold water, delicate cycle. Lay flat to dry.